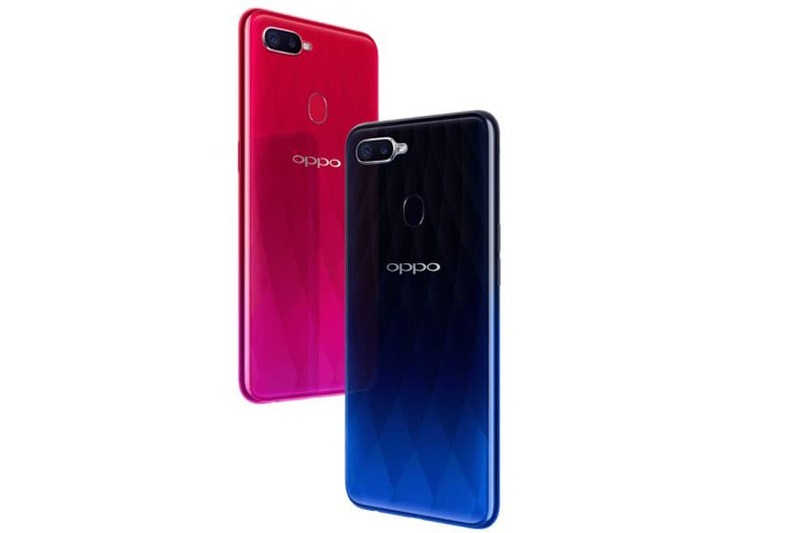 Chinese smartphone manufacturer Oppo has launched its new device Oppo F9 in Vietnam. The Oppo F9 comes with a new V-shaped notch on top of the screen, company’s propriety VOOC charging and a fullscreen display. The device is being priced in Vietnam at VND 7,690,000, which roughly translates to Rs 23,300. The company has touted to launch it in India on August 21. The smartphone has been launched in three colour variants - Twilight Blue, Sunrise Red and Starry Purple. The main highlight of this smartphone is its immersive 90.8% screen-to-body ratio, 25-megapixel AI front-facing camera, and VOOC Flash Charge fast charging. Oppo F9 can be pre-ordered, and it will start shipping from August 24. Oppo is giving away a free 10000mAh power bank as part of its pre-order offers. The Oppo F9 features a 6.3-inch Full HD+ display (2340 x 1080 pixels) with 19.5: 9 aspect ratio and screen-to-body ratio of 90.8 per cent. The device sports the new waterdrop design, which the company claims increases viewing space. The smartphone is powered by Octa-Core MediaTek Helio P60 SoC, coupled with 4GB / 6GB RAM, paired with 64GB expandable storage. The F9 runs Android 8.1 Oreo topped with ColorOS 5.2. In terms of optics the Oppo F9 features a dual camera setup at the back, which consists of a 16-megapixel primary sensor, running alongside a 2-megapixel secondary sensor, for depth measurement. Both cameras feature aperture of f/1.8 and f/2.4 respectively, and specialize in clicking bokeh styled images. Up front, there is a 25MP selfie camera of f/2.0 aperture and AI capabilities. The device houses a 3500mAh battery with support for VOOC flash charge. There is a rear-mounted fingerprint sensor, a 3.5mm audio jack and standard connectivity features such as Wi-Fi, Bluetooth 4.2, GPS and dual 4G VoLTE.